At 14 months of age for example, human children are able to successfully pass an object-choice task. In this task, children are presented with two upside-down buckets, one of which contains a toy, and the experimenter points toward the bucket where the toy is hidden. The child then turns to the right bucket and retrieves the toy. Although this task may appear simple, it is remarkable that chimpanzees fail it. 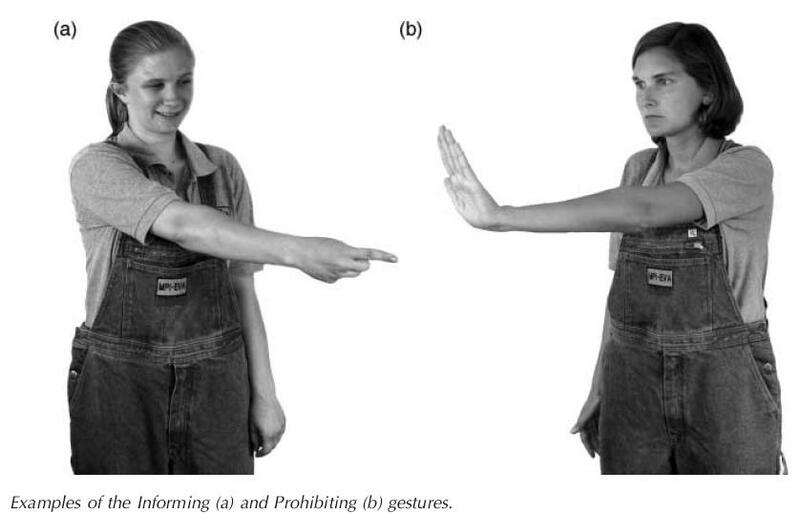 In contrast to children, they fail to see the pointing gesture as a relevant cooperative signal within a shared attentional frame. Instead chimpanzees seem to think something along the lines of: “‘A bucket. So what? Now where’s the food?’ They do not understand that the pointing is intended to be ‘relevant’ to the searching as a shared activity (see Sperber & Wilson, 1986)” (Tomasello & Carpenter 2007: 122). But this result is reversed in chimpanzees when instead of pointing cooperatively towards the bucket, the experimenter makes a prohibiting gesture by holding her arm out towards the correct container with her palm out, says something like “Don’t take this one” in a firm manner and then leaves the room. In this competitive context chimpanzees can successfully infer where the hidden reward is. 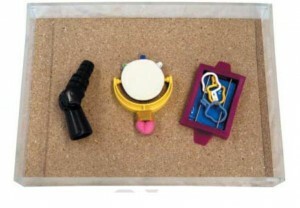 What is equally interesting is that 24 month old children do not retrieve the hidden toy possibly because they were better at cognitive control than 18 month old children and chimpanzees and were aware of the social and communicative conventions of the prohibiting action (Hermann & Tomasello 2006, see e.g. Miller et al. 2002, Tomasello 2008: 208ff. ). At the age they are able to solve a simple informative object-choice, infants also can keep track of who is familiar with some toy and who is not through shared experience. 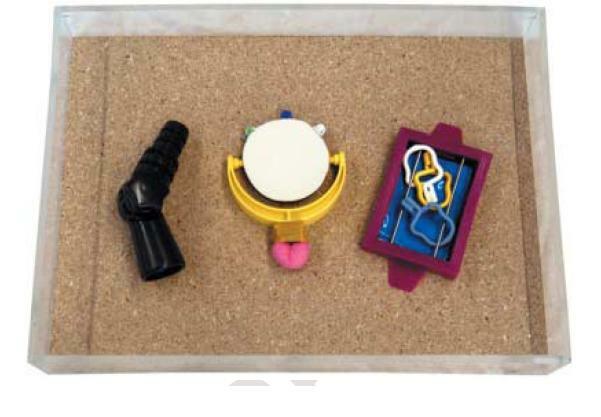 In an experiment involving three toys and two experimenters, the first experimenter and the infant played together with two of the toys, then the first experimenter left the room. After that, the second exph the experimenter and the infant played with all three of the toys, but with two of them in a normal fashion and with one of them in a very excited manner. When the first experimenter then came back in ambiguously asked for “it” infants reliably gave them the toy they had an excited shared experience with. Control conditions clearly showed that the infants knew “which of these objects “we”—and not just me or you alone—had experienced in a special way in the immediate past: (Moll et al. 2008: 98). A linguistic experiment in which a mother played with three toys together with her child then left the room, and the child then played with a fourth novel toy together with an experimenter had similar results. When the mother came back and looked at the four toys and excitedly exclaimed “Oh, a modi, a modi!” the child successfully learned this as the word for the fourth novel object drawing on their experience of sharing common ground with the mother in respect to the first three toys, but not with the new toy (Akhtar et al. 1996). In general, human children and infants seem to be much more interested in cooperation, sharing, and committing themselves to a shared goal and a shared experiential perspectives than other primates. 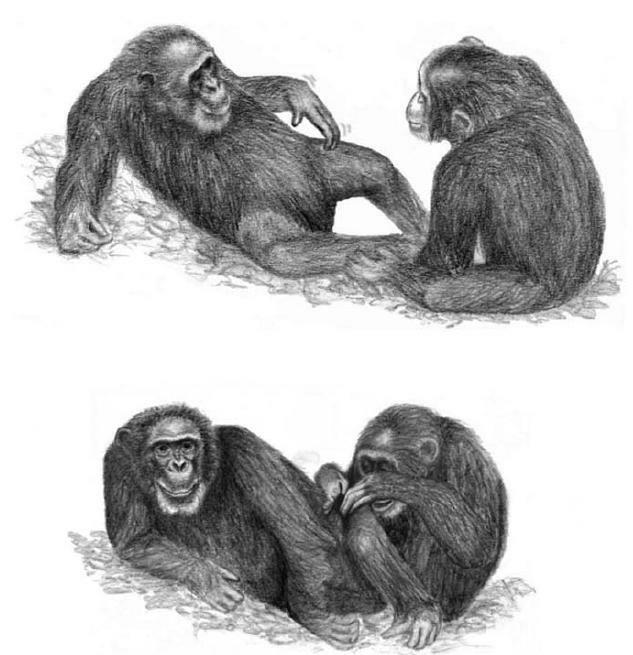 In specific contexts chimpanzees exhibit joint, co-operative, coordinated hunting for small monkeys (Boesch & Boesch 1989), and human-raised enculturated chimpanzees successfully solve co-operative problem-solving tasks in which food could be retrieved only together with a non-competitive, familiar human adult both when it required parallel and complementary roles. When it comes to social games, however, such as one person rolling a ball down and another one catching it with a can (complementary), or making a wooden block jump on a trampoline (parallel), the chimpanzees showed no interested and played with single parts of the game set-up for themselves. 18 to 24 month-old human children on the other hand successfully took part in both the co-operative problem-solving tasks as well as the social games. What is more, in contrast to the chimpanzees the children actively tried to reengage the adult when he ceased doing his part of the co-operative activity in both problem-solving and social contexts. Children thus explicitly displayed skills of shared intentionality by being jointly committed to a shared goal with shared intentions. These skills can also be seen in the manifesting conversational and linguistic skills of children around that time (Tomasello 2003). The shared intentionality infrastructure is also already present in communicative power of pantomiming and informative pointing just for the sake of sharing attention and sharing information which infants acquire around their first birthdays (Tomasello 2008: 111). These behaviours even include references to absent object or events such as something that is going on outside, happened in the past or will happen again in the future, a cup that is empty and should be filled, to something that is hidden or not present at the moment (Tomasello 2008: 116f.). Chimpanzee’s on the other hand, practically rarely point in natural contexts, and captive chimpanzees only do so when requesting something, using the human as a “social tool” (Tomasello 2006). A similar imperative behaviour has recently been observed in the wild: during grooming, chimpanzees sometimes point to a specific part of their body where they want to be scratched. (Pika & Mitani 2009). These “directed scratches” however, are also imperative in nature and not declarative. The evidence presented here strongly suggest that it indeed seems that social intelligence was a driving factor and the crucial foundation for what makes us unique. But in addition, it seems that in the human lineage the “Machiavellian Intelligence Hypothesis,”, which sees social competition as the main causal factor for primate, including human brain evolution (Byrne & Whiten 1988, Humphrey 1976), does not apply across the board. 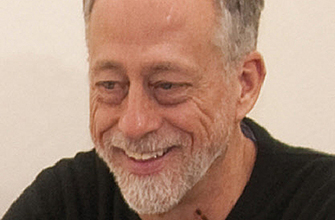 Instead, it seems that the unique aspects of human cognition were driven, and are maybe even constituted by, collaboration, cooperation and the natural motivation to share experiences, intentions and perspectives, which then led to the advances in culture, technology, and higher-order cognition we see today (Moll & Tomasello 2007). I won’t have access to the internet for the rest of August and will only start posting in September, but I hope you enjoyed my short series on human unqiueness. Akhtar, N., Carpenter, M., & Tomasello, M. (1996). The role of discourse novelty in early word learning. Child Development, 67, 635-45. Boesch, C. & Boesch, H. (1989): Hunting behavior of wild chimpanzees in the Taï-National Park. American Journal of Physical Anthropology 78(4), 547-573. Hare, Brian, and Michael Tomasello. (2005). Human-like social skills in dogs? Trends in Cognitive Science, 9, 439-444. Humphrey, N. (1976) The social function of intellect. In Growing points in ethology (eds P. P. G. Bateson & R. A. Hinde), pp. 303–317. Cambridge, UK: Cambridge University Press. Sperber, Dan and Deirdre Wilson (1995): Relevance: Communication and Cognition. Second Edition. Malden et al. : Blackwell. Liszkowski, U., Carpenter, M., Striano, T., & Tomasello, M. (2006). Twelve- and 18-month-olds point to provide information for others. Journal of Cognition and Development 7: 173-187. Many thanks for the series, which was fascinating. And thanks for the great bibliographies! You think so? cool! So I guess I’ll send it in then 🙂 Cheers. The best account of human’s cognitive skills by/so far. I get, out of your works, the driving hypothesis for my investigation in diverse fields, such as contemporary music (the subject of my radio show). I surmised that, failing to see any pattern of shared intentional content in most of serial/atonal works, our cultural brain dismisses it as non-processable. The exception being those who, listening such works, feel their belonging to the composers’ milieu grow and expand.